The long awaited day has finally arrived. 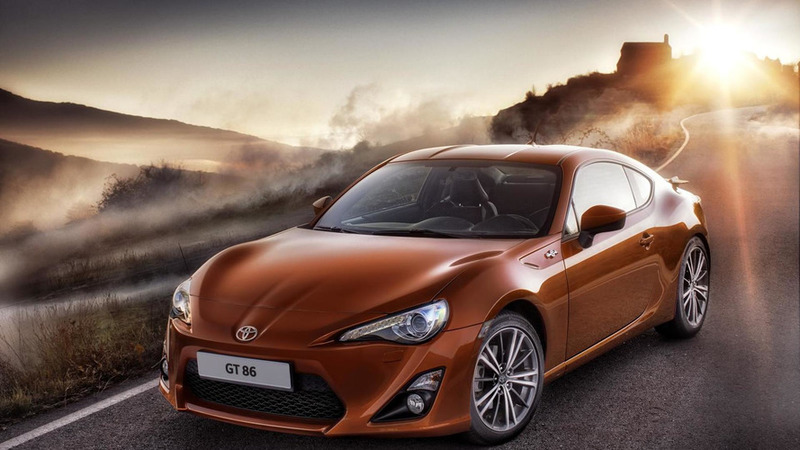 Toyota has officially revealed the first pictures and details for the hotly anticipated GT 86 sports car, the production version of the FT-86 concept that has been greatly anticipated since the launch of the initial FT-86 concept in October 2009. The model in its current form will launch throughout Europe and Japan and is the result of a collaboration between Toyota and Subaru. It will eventually spawn 2 additional models: the Subaru BRZ which will be available globally and the North American market Scion FR-S.
Power is drawn from Subaru's new horizontally opposed 2.0-liter flat-four boxer engine that has been enhanced with torque-enhancing D-4S injection technology. Maximum power output is rated at 200 PS (147 kW / 197 hp) at 7,000 rpm, maximum torque of 205 Nm (151 lb-ft) is achieved at 6,600 rpm. Dimensions measuring 4,240mm long, 1,285mm high and 2,570mm wide, make it the most compact four-seater sports cars on the market. A near perfect balance has been achieved with a weight distribution ratio of 53:47 (front-to-rear). The flat-four engine format and low driver position has also enabled the GT 86 a very low center of gravity of just 475mm.